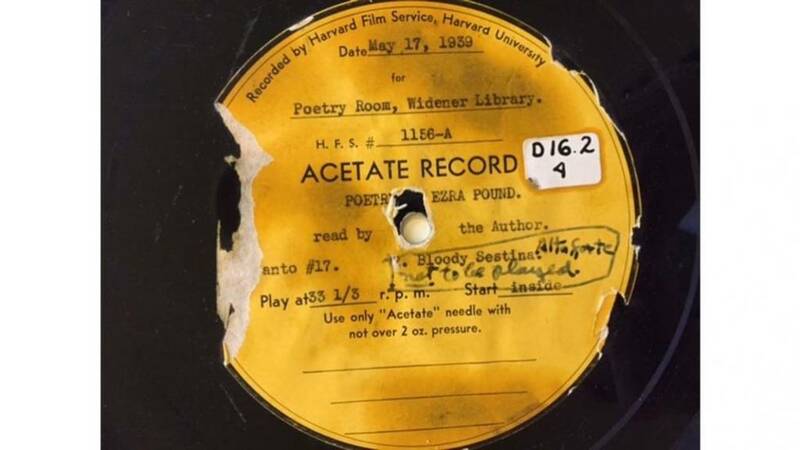 a multifaceted exhibition featuring archival materials, performance, and a publication that together revive an obscure audio recording made by Ezra Pound at Harvard University in 1939. Recorded on the eve of World War II, Pound believed his poem "Sestina: Altaforte"—or "Bloody Sestina," as it came to be known—could incite violence. He was convinced it possessed a persuasive power over the future: several years after making the recording, Pound wrote a letter stating it was "not to be played." The exhibition opens with a reception on Thursday 8 October at 6pm and runs until 25 October. NOT TO BE PLAYED at Level 3, Sert Gallery, The Carpenter Center for Visual Arts.